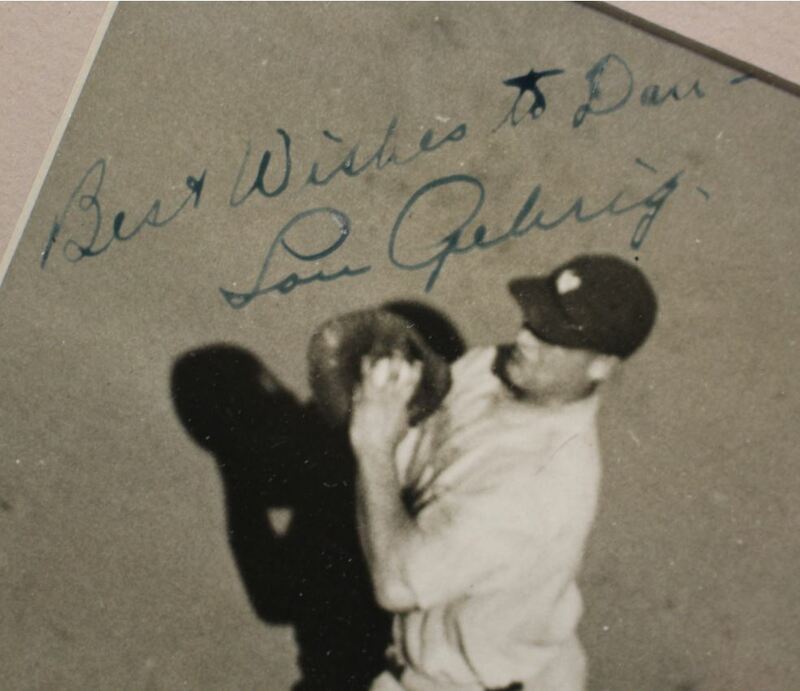 First generation wire photo signed "Best wishes to Dan" Lou Gehrig. 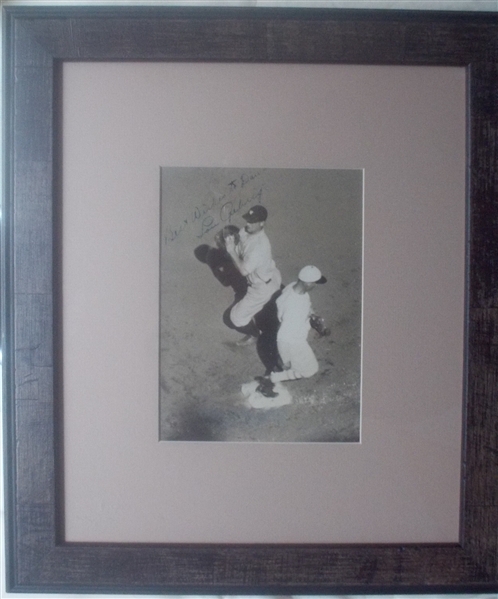 The photo s 5.5x7" as framed by the matting, which probably means that it slightly large. Perhaps 6x8". It is an original International Newsreel wire photo. Boldly signed. The signature is clear and a little over 2" long. 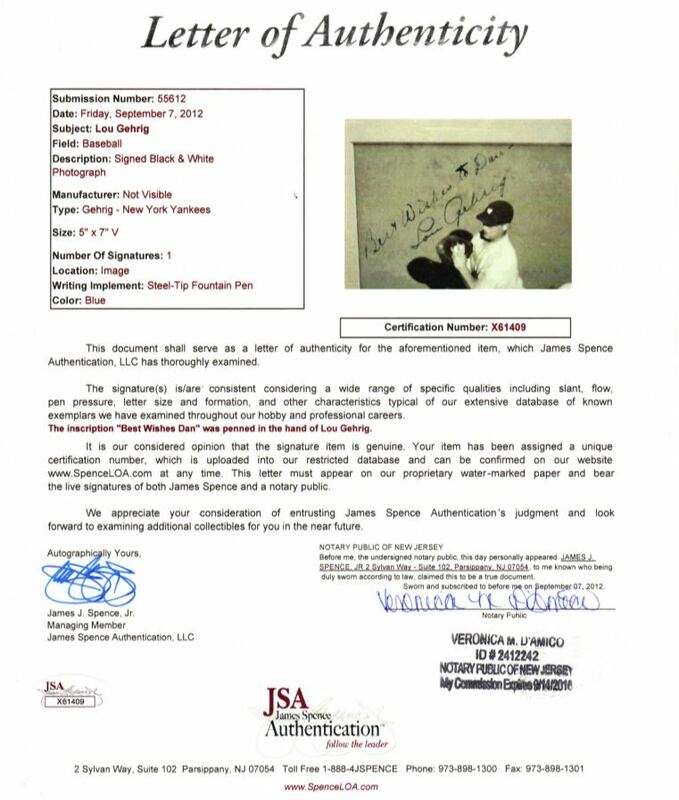 Comes with a full Letter of authenticity from JSA. We can not find a similar photo, reproduction or otherwise ever being sold. Clearly a unique piece. 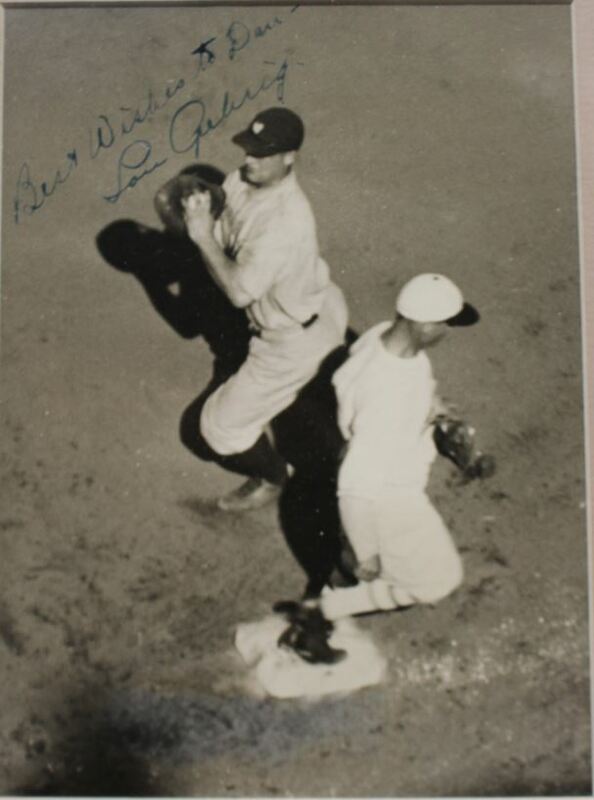 Rare Lou Gehrig photos of this caliber signed this boldly typically sell in the $8,000-10,000 range.